From the author of Secrets of Nanreath Hall comes this gripping, beautifully written historical fiction novel set during World War II—the unforgettable story of a young woman who must leave Singapore and forge a new life in England. On the eve of Pearl Harbor, impetuous and overindulged, Lucy Stanhope, the granddaughter of an earl, is living a life of pampered luxury in Singapore until one reckless act will change her life forever. Exiled to England to stay with an aunt she barely remembers, Lucy never dreamed that she would be one of the last people to escape Singapore before war engulfs the entire island, and that her parents would disappear in the devastating aftermath. Now grief stricken and all alone, she must cope with the realities of a grim, battle-weary England. 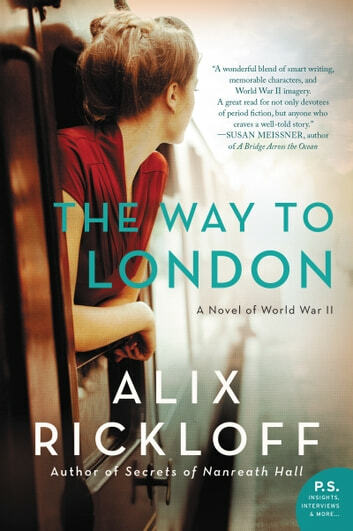 Then she meets Bill, a young evacuee sent to the country to escape the Blitz, and in a moment of weakness, Lucy agrees to help him find his mother in London. The unlikely runaways take off on a seemingly simple journey across the country, but her world becomes even more complicated when she is reunited with an invalided soldier she knew in Singapore. Now Lucy will be forced to finally confront the choices she has made if she ever hopes to have the future she yearns for. Interesting history of the way the English dealt with life during WW2. There is enough material for a further novel if the author is interested in researching England with the end of WW2. 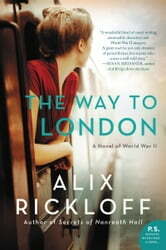 Alix Rickloff has a feel for developing believable characters!